Marks dungeons in which you took the "Undaunted Pledge". Отмечает иконкой подземелья для задания "Обет Неустрашимых". Fixed selection color after disabling search. 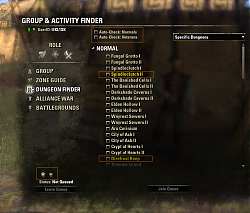 Buttons for quick selection of normal / veteran dungeons: right click - quick select and start serch. Icons removed, now highlighted in color (color can be changed in the settings). 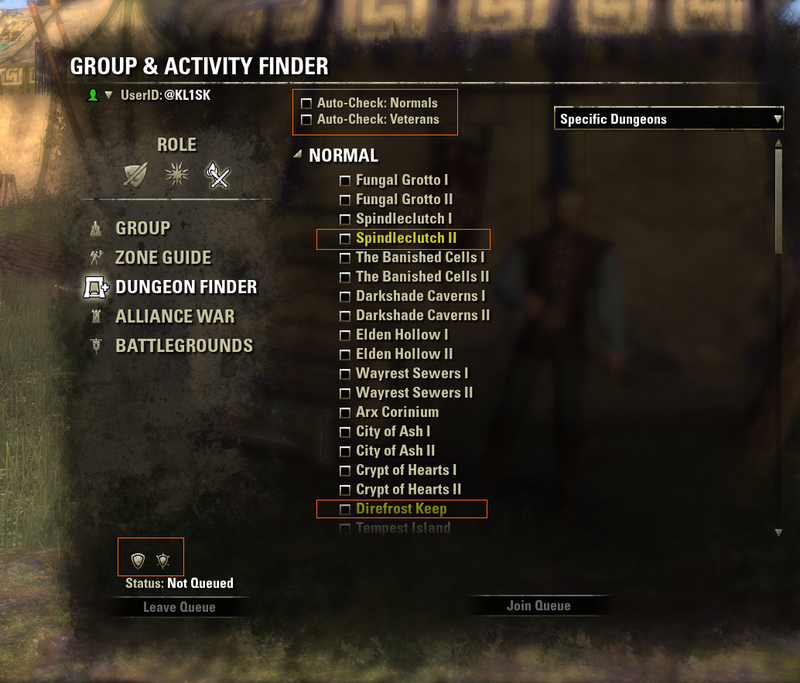 The auto-select settings are moved to the dungeon selection window. Added buttons for quick selection of normal / veteran dungeons. Improvement - search for matches. Changed the way you search for matches. Would it be possible to make this compatible with PerfectPixel? This is a BUI problem. Look in the comments, they wrote something to disable. Try to abort old pledges (Gelöbnis) quests from the day before and accept them new. Oh, this is why my dungeon list does not show anything anymore. Last edited by Baertram : 02/16/19 at 05:08 PM. Last edited by yuefei : 02/16/19 at 04:24 PM. Instead of that couldn't you just make it so only the pledges showed up instead of showing all of the other dungeons since I am pretty sure the only reason we use dungeon finder for specifics are mainly for pledges. like a feature that you can enable and disable idk if possible. At the moment I am looking for the best way to compare, since there are no special functions for this. In the future, I want to automatically select and search by hotkey.